When Ken Theriault heard Miyagi-born crooner Muneyuki Sato’s “Arigatou” at a function in Sendai heralding the impending retirement of Kentaro Ohyama from his role as president of Iris Ohyama, the song shook him to his core. 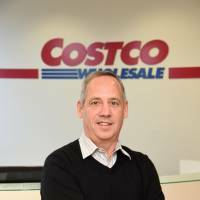 “I was like, ‘Wow!’,” began the representative director and country manager of Costco Wholesale Japan Ltd. during an interview with The Japan Times. “It’s a really great song about being grateful and thankful for everything. Sato was fabulous and he really inspired me,” he continued. Indeed, Theriault, who’s been working in retail and wholesale for over 40 years, most of that time in Japan, conceded he has much to be thankful for. For starters, there’s his sister, who inadvertently set him on his career path in the first place. “During high school, I was really into sports and I used to have long hair,” Theriault recalled. “My sister said, ‘If you get a haircut, I’m going to get you a job — a part-time job working at a supermarket.’ So I got a haircut and that’s how I got into the retail business,” he continued. His sister’s disdain for his locks aside, the precocious Theriault graduated from school at the age of 17. Despite ambitions to study law at university, he began working at the supermarket full time and was promoted to manager roughly a year later, about the time he was meant to start college. When he looked at how much he was being paid versus how much debt he’d accrue from his studies, the decision to keep working was a no-brainer. But for Theriault, other important factors were also at play. “What I (still) love, what drew me into retail, is the people,” Theriault said. “At that first supermarket, I was managing 170 staff, many of whom were much older than me. I remember the bakery manager had started with the company before I was born. 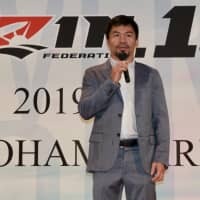 So from a very young age, I learned how to manage and work with all kinds of people,” he said with a smile, adding that this experience has been very useful since working in Japan. The challenge of retailing in a different market would also feed Theriault’s appetite for planning and strategy. Stocking an average of about 3,500 items, about 60 percent of which are domestic outside of holiday seasons, and rotating “about a 100 items” a week, deciding with Costco’s buyers and managers on what to sell has become a passion of his. “The last thing I said that wasn’t going to sell (and was proven wrong) was green metal ammunition cases. The buyer begged for me to try one pallet for each warehouse; I was reluctant because Japan doesn’t have bullets and guns. We brought them in, they sold out in a week. So what do people use these ammo cases for? I heard everything — they put spices in there or lock up pills so the kids can’t get in,” he laughed. Another aspect of his job includes store development, location scouting and real estate runs. Through this, Theriault concedes he is fortunate to have traveled to almost every prefecture in the country. The warehouses have acted as catalysts for economic growth and development in some areas. 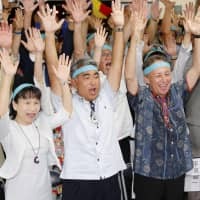 Tsukuba and Kobe are among them, according to Theriault when probed, before he added that in places like Okinawa, where he shared the minimum wage is around ¥700 an hour, Costco is seen as a popular place to work because staff are treated well, gender diversity is important, at least half the staff have to be full-timers and the pay is better. 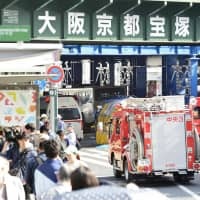 A firm believer that Japan’s older generation companies will become more open to women in the workforce out of necessity, and that individual companies will have to step up to the table, Theriault relayed a story about one of his earliest hires at the company’s first warehouse in Fukuoka. He was interviewing for staff and trying to do so with limited Japanese. The young woman was shocked, asking, “You don’t need to interview me?” and when she would start work. Theriault’s response? Through tears, the woman found out that she had suddenly gone from recent college graduate to marketing manager. Ken Theriault’s career in retail and wholesale spans over 40 years and began in 1975 when he joined Canada’s Dominion Stores. 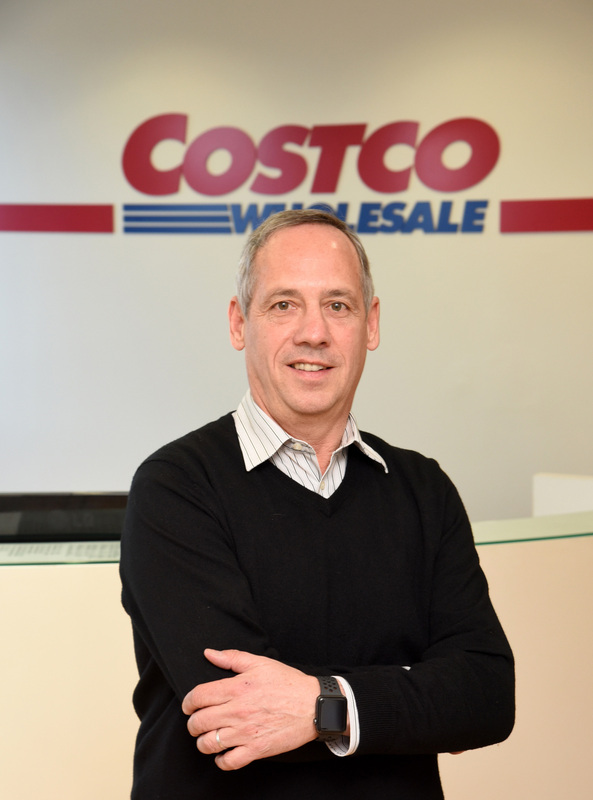 As the years passed, he would move up the ranks, before joining Costco’s predecessor, Price Club, later Costco Wholesale Canada Inc., and setting up the St. John’s warehouse in the province of Newfoundland and Labrador. He was first transferred to Japan in 1998 as Costco’s operations director when the company was establishing stores in Japan and developing a foothold in the region. Over the next eight years, he would open warehouses in Fukuoka, Chiba, Hyogo and Kanagawa prefectures, as well as in Tokyo. In 2006, he was called back to Canada and reassigned as regional director-vice president of Costco Wholesale Canada Inc. But the pull of Japan was strong and he returned to his current role in 2009. Since then, Theriault has worked to expand Costco, opening warehouses in Chiba, Saitama, Kyoto, Kanagawa, Gunma, Hyogo, Fukuoka, Hiroshima, Ibaraki, Aichi, Osaka, Yamagata, Ishikawa, Toyama, Gifu, Miyagi and Shizuoka prefectures.